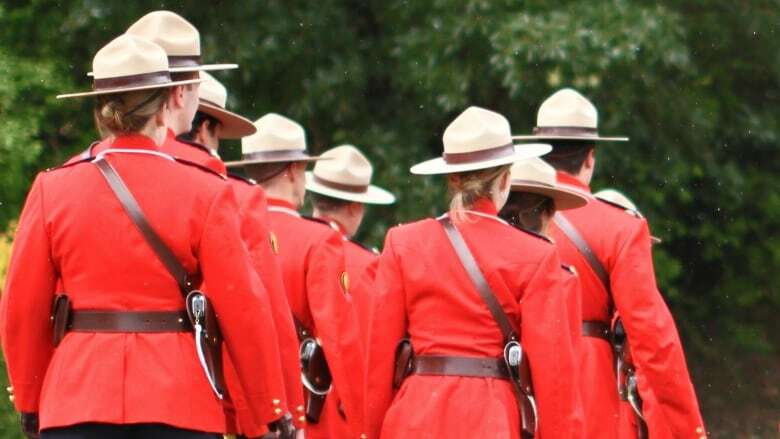 An RCMP officer on Vancouver Island has filed a lawsuit alleging harassment by her supervisors, who she claims did nothing to stop it. A lawsuit filed in B.C. against the RCMP alleges that a supervisor in Courtenay on Vancouver Island, harassed and made derogatory comments against women and First Nations people. The documents, filed in B.C. Supreme Court, name several supervisors, including the former commanding officer of British Columbia's E-Division, claiming they did nothing to stop the harassment. Cpl. Jill Swann's suit says her immediate boss, Cpl. Roger Collin, called her names like "meth face" after she had some facial surgery, and "Big Red Machine" referring to her hair, and weight gain. Swann, a 20-year RCMP veteran, also alleges Collin sent her a box of condoms in a bouquet of flowers when she gave birth to her youngest child, and also drew a bull's-eye target symbol on her soft body armour along with some derogatory names. The suit alleges that the RCMP "failed to provide ... Swann with a safe workplace, free from all forms of harassment and intimidation," contrary to the Canadian Charter of Rights and Freedoms, the Canada Labour Code, the Canadian Human Rights Act and the RCMP's own rules. Both officers worked for the Island District General Investigation Section in Courtenay and spent time at the Comox Valley detachment. In February 2015, Swann says she was a negotiator in a situation where a man shot himself after threatening to do so. She went to work the next day, still upset, and claims Collin stated in front of her co-workers that "if Cst. Swann attended as the negotiator, he too would shoot himself in the head. He said he could understand why someone would be willing to kill himself just to get her to stop talking." In the suit, Cpl. Collin is alleged to have repeatedly made derogatory comments about women in the RCMP and insisted on addressing her by her husband's last name. He is also alleged to have stated many times that granting women the right to vote was "the beginning of the end," as was the year 1974, the year women were allowed to join the RCMP. In the documents, Swann claims that Collin "regularly commented that 'women were best placed in the kitchen.'" The suit said she "found Cpl. Collin's sexist comments degrading, offensive, and diminishing of women's role within the RCMP and within society generally." Over a three-year period from 2012 to 2015, Swann alleges Collin addressed her using an "Indian nickname" of "One Flung Out" after a button on her uniform shirt became undone. When Swann complained to a supervisor about the derogatory nicknames she claims the supervisor "downplayed Cpl. Collins' conduct by stating he had nicknames for everyone ..."
Swann also claims Collin often made derogatory comments about Indigenous people which offended her because her husband — also an officer with the RCMP — and children are Métis. Reached by phone, Collin, now retired, said he was not aware of the suit and had no comment. None of the persons named in the suit have been served with the statement of claim yet. The RCMP told CBC in an email that Collin is no longer employed with the force. In the documents, Swann alleges that Collin gave her a heavier workload than any other member of the unit because she took her concerns to his supervisor. She claims she found handwritten notes in a file Collin kept on her, contrary to RCMP policy. Swann found it on his desk. In August 2015, she filed a workplace complaint alleging "personal and sexual harassment." However, in the suit, she said she was the one who was disciplined with a code of conduct violation for accessing Collin's desk. In October 2015, she went on medical leave for seven months on the advice of her doctor. She is now back at work at the same detachment in a different capacity.